Steve has been practicing as a real estate lawyer in central Ohio for over 30 years, including 14 years for two, large downtown Columbus law firms, 18 years as a sole practitioner, and, since 2015, with his son David. His expertise encompasses a broad array of real estate related subjects, with an emphasis on commercial real estate development lending, including representation of both borrowers and lenders; commercial leasing, both office and retail; and the representation of buyers and sellers of both developed and undeveloped real property. 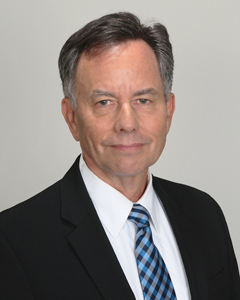 His experience includes representing banks in large and mid-sized acquisition and construction loans, including development loans in excess of $30 million; landlords of commercial office buildings and retail shopping centers; and a national residential homebuilder in the acquisition and development of property for residential subdivisions. He also represents clients in other areas related to commercial real estate, including entity formation, environmental issues and matters related to homeowner and condominium associations. Steve is pleased to make room for his son David to join his practice. He likes having someone to bounce ideas off of, and to help him with performing quality work and turning things around quickly. Steve is a member of the Ohio State and Columbus Bar Associations and a Fellow of the Columbus Bar Foundation. He also was an Adjunct Professor at the Ohio Northern University School of Law from 2008 – 2012, teaching a class to second and third year law students on Commercial Real Estate Transactions. In his free time, Steve and his wife Anne like to travel, ride bikes and spend time with their children and grandchildren.